Fish and seafood are an excellent source of lean protein and healthy fats with numerous health benefits. Since the earliest of times, millions of people around the world have relied on fish and seafood as their primary source of protein and sustenance. Incorporating fish and seafood into your diet can be much easier when you have a wealth of simple and tasty recipes to draw on. From baking to frying, battering and breading, to soups and pies, fish and seafood are extremely versatile food sources that can be used in a wide variety of dishes. Recipes can guide your culinary pursuits in terms of what ingredients to put together, as well as presenting a variety of food prep and cooking methods. If you are looking for some useful and tasty fish and seafood recipes, the following fish and seafood cookbooks can give you all the inspiration you need to create some succulent seafood meals. When you are looking for a good fish cookbook, there are a few factors to consider before committing your time, money, and efforts to one in particular. Firstly, skim through the cookbook to ensure it contains recipes that seem within the realm of your cooking ability, as well as ones that are appealing for you to cook. Also, have a look at a few of the recipes and their required ingredients. If you don't know what half the ingredients are, chances are they will be difficult to find. There are all sorts of fish recipes and styles of cooking; some focus on taste while others on healthier low-calorie options. If you are interested in fish recipes as a healthier eating option, bypass the recipe books that don't seem to contain health-conscientious recipes. Often a quick perusal of a cookbook's intro will tell you what type of recipes are within. Below are five fish cookbooks for you to consider as your guide to fish-worthy culinary pursuits. 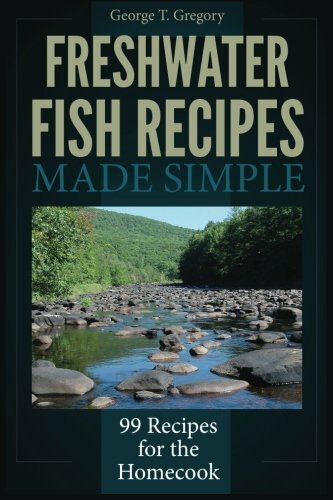 The Freshwater Fish Cookbook is a delightful gift for freshwater anglers around the globe. Livingston is praised for his humorous writing style, making it a pleasure to read and follow his recipes. With more than 200 recipes for a wide range of fish including salmon, trout, perch, pike, walleye, stripes and black bass, the simple and straightforward instructions are ideal for anglers wanting to cook their catch in nature or the kitchen. This collection is more than just a recipe book; it is a complete resource as it also contains a wealth of information such as cooking and freezing tips, cleaning and filleting your catch, and amusing trivia tidbits. The full-color photos and illustrations complement the accompanying recipes, making this cookbook the ideal gift angle for that special angler in your life. 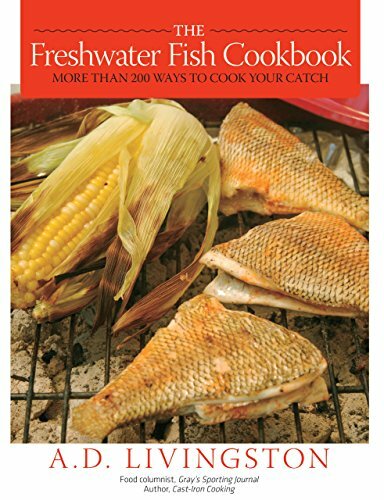 From top-selling author, George T. Gregory comes 99 delicious freshwater fish recipes to cook at home that will stop you from ever preparing a catch with store-bought batter again. 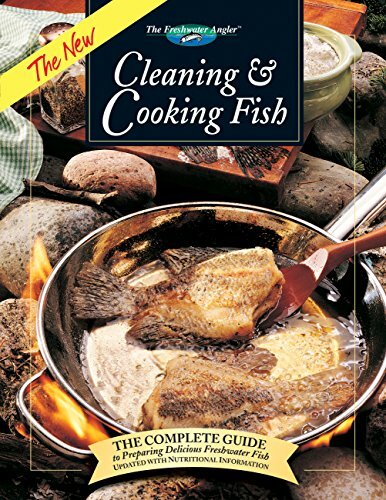 This cookbook is well suited for your everyday recreational fisherman and average cook. Recipes cover numerous freshwater fish such as Northern Pike, Salmon, Trout, Bass, Catfish, and Walleye. He also covers a variety of cooking methods from frying to baking, grilling to broiling, and soup prep. These recipes are sure to entice even the most discerning of taste buds. As a leading authority on game cooking, A.D. Livingston creates a fabulously informative and comprehensive cookbook. The ultimate trout fan will love the 100 recipes for preparing this tasty and popular fish. From grilling to poaching, smoking to sautéing and broiling, there are recipes to suit every cooking preference and ability. 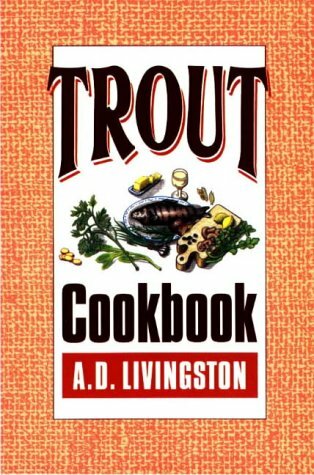 Those wanting to hone their trout-cooking skills have much to gain from adding this recipe book onto their cookbook shelf. Keane Amdahl is a cook known for his creative use of ingredients as well as his versatile preparation methods. Focusing on freshwater fish like Trout, Walleye, and Panfish. Amdahl's recipes offer unique ways to savor local and sustainable fish. Amdhal encourages the use of local providers of fresh and smoked fish while further inspiring his readers to experiment with a variety of ingredients and culinary techniques. Sylvia Gashline is an award-winning writer and photographer of outdoor subjects. When it comes to cooking, cleaning, dressing, and filleting a catch, Gashline knows and has done it all. Her cookbook covers how to broil, poach, and smoke your catch. Her recipes include appetizers, salads, soups, and mains. With the extra nutritional information provided with substitution ideas, this is an excellent choice for those wanting to explore some healthy fish recipes. With over 120 different recipes to choose from and equally beautiful accompanying photographs, this cookbook is one you'll want to keep on the line. When it comes to searching for that seafood cookbook with the perfect blend of simple instructions, informative content, and delicious recipes, you might not need to cast a wide net. There are as many seafood types as there are preparation methods, health benefits, and shopping tips. A genuinely resourceful seafood cookbook will provide you with guidance on how to buy, catch and prepare a wide variety of seafood types from shrimp and scallops to eel and swordfish. That is why we have selected these top 5 seafood cookbooks to help get you started on the road to seafood success. 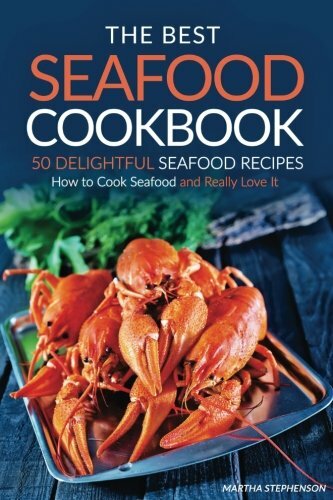 Hailed by many as the only seafood cookbook you will need on your bookshelf, Tim Lauer delivers a thorough collection of saltwater seafood recipes and step-by-step preparation instructions. Whether you are catching your own or purchasing from your local fish market, Lauer guides you on how to choose the freshest seafood and every step from there to the table. There is a chapter dedicated to sports angling and how to handle and transport your catch. Another section is devoted solely to the best fin-fish cooking methods, as well as the individual characteristics of the various types of fin-fish. The shellfish chapter covers recipes, preparation, and safe handling and consumption tips. The cookbook also contains nutritional information as well as substitutions. Tim Lauer guides you from the initial catch to the table. 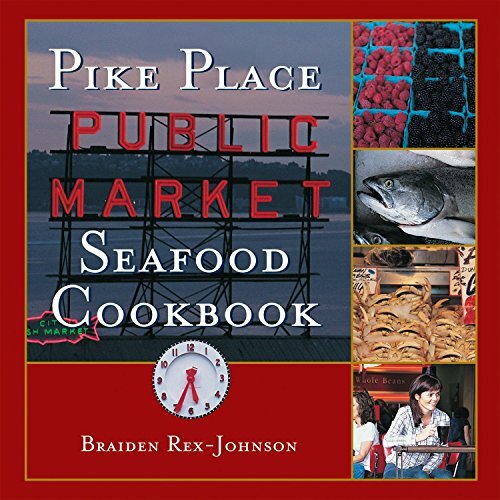 Best-selling author, Braiden Rex-Johnson, brings the Pike Place Public Market to life within the pages of his lively and energetic seafood cookbook. Rex-Johnson shares tips for the market community from shopping to cooking, mail-ordering, and of course, delicious and tantalizing seafood recipes. This full-color gift edition cookbook contains over 50 recipes and colorful photographs depicting the very best of what the Pike Place Public Market has to offer. It also includes an informative section on the history of the market. Numerous simple sauces, marinades, and glazes. This seafood cookbook will make the perfect addition to the library of one who is enamored with the infamous fishing market community as with the tasty recipes themselves. 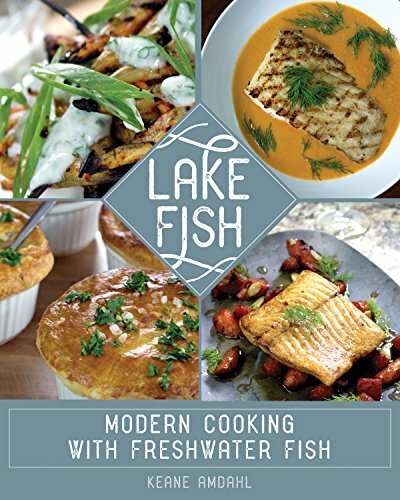 Author James Peterson has delivered a cookbook that is viewed as the ultimate source of information regarding fish and shellfish preparation and recipes. Every possible cooking method is included and discussed at length from baking to braising, grilling to broiling, poaching to panfrying, marinating to curing, and steaming to microwaving. Highlighted recipes such as the following are a sample of the succulent meals you can expect to find in this book. Each section has been referred to as a book in and of itself with its thorough and comprehensive contents and instructions. 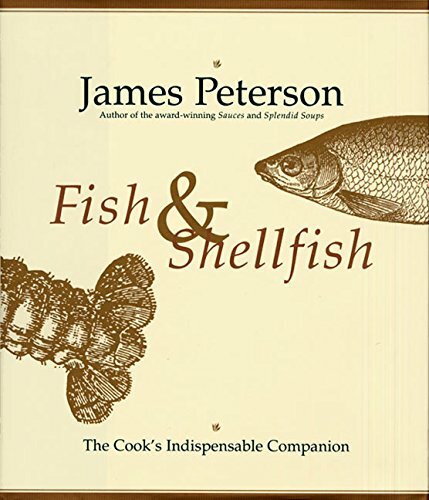 Like the great culinary tradition of Julia Child, James Peterson delivers a cookbook considered by many to be the ultimate guide to fish and shellfish. With 50 recipes on how to prepare delicious seafood meals, Martha Stephenson can guide you from how to purchase seafood, all the way to handling and prepping it at home. Her cookbook contains numerous interesting seafood facts to increase your knowledge base and confidence level in preparing this delicious food source. With its popular seafood recipes collected from around the world, the healthy and delicious results will be sure to please. The Best Seafood Cookbook with its step-by-step easy-to-follow instructions can help you master the art of cooking seafood with style and grace. 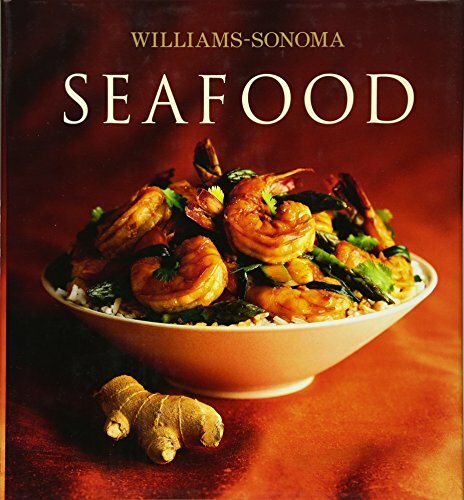 The Williams-Sonoma Collection contains more than 40 seafood recipes that are oozing with taste and sophistication. From sea bass to lobster meat, to fish and shellfish, these quick-cooking recipes can fool even the most astute of diners into thinking you've been slaving away in the kitchen for hours. Appetizers and mains like 'Seafood Paella' and 'Cajun-Spiced Catfish' are dishes that produce beautiful results with a minimum of time and effort in the kitchen. Colorful images and asides containing helpful information abound as you work your way through the pages of this exquisite cookbook. As you are well aware by now, fish and seafood cookbooks are not just about cooking. In addition to numerous recipes for appetizers, salads, soups, and mains, they can provide you with anything and everything you have ever wanted to know about our sea-dwelling friends. Whether you are preparing fish you have caught yourself outdoors or transporting your market selection home, these cookbooks can guide you from the catching/selection process to safe handling and transportation, all the way to the table. 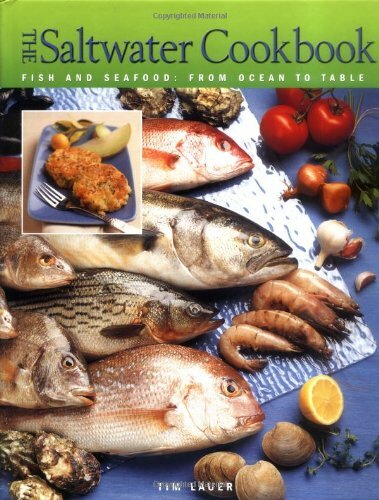 Fresh, saltwater, fish and seafood come in numerous varieties, mentioned at length in our selected cookbooks. So before you begin your fish and seafood cooking ventures, be sure to take one of these ten best fish and seafood cookbooks along for the ride.